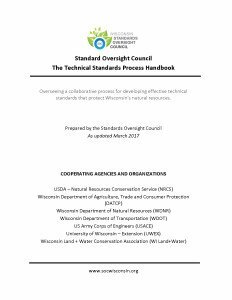 The Technical Standards Process Handbook outlines the SOC process. Learn more about how teams are formed, standards are developed, and public input is incorporated into this process. Each year, SOC prepares an annual report to provide an overview of what was achieved that year. Specific information related to work team progress, the standards created and revised, plus descriptions of additional SOC activities are described in the reports. Prior to 2002, SOC combined Accomplishment Reports and Work Plans into a single document. 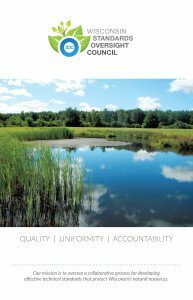 The SOC Brochure describes the SOC program, who is involved, and how it benefits conservation statewide.